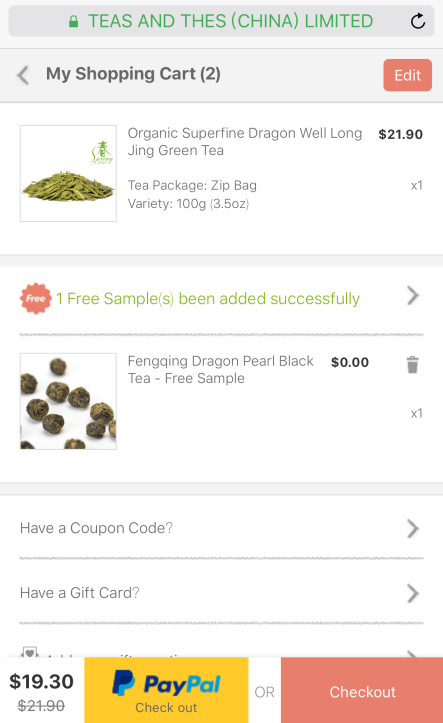 How to place an order on Teavire? How do I know whether my order went through or not? 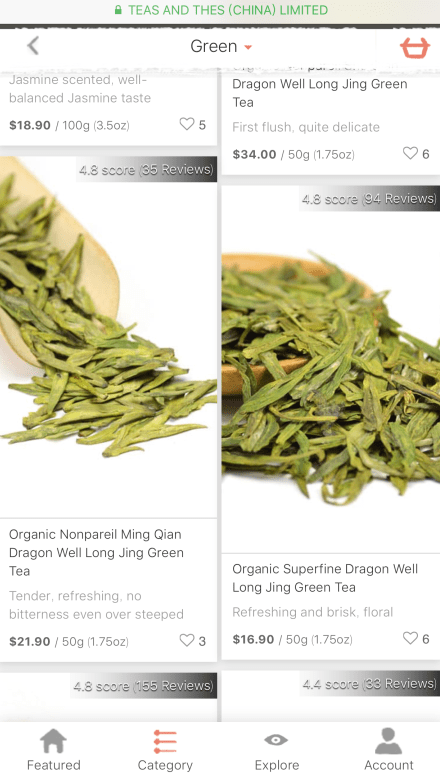 Placing an order with us is very simple – though of course selecting which of our great teas you'd like might take you a bit of time! 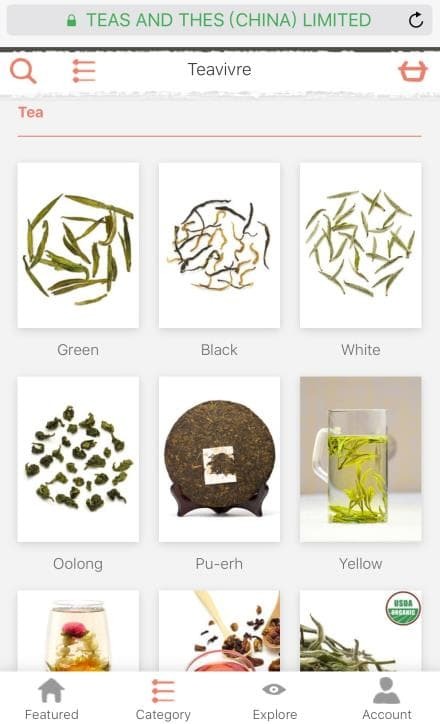 Step 1: Select the tea category that you're interested in. 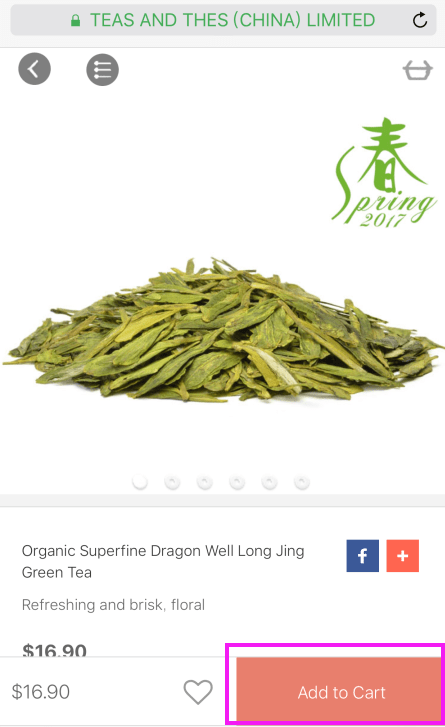 We'll then list for you all the teas of that type that we are currently selling. 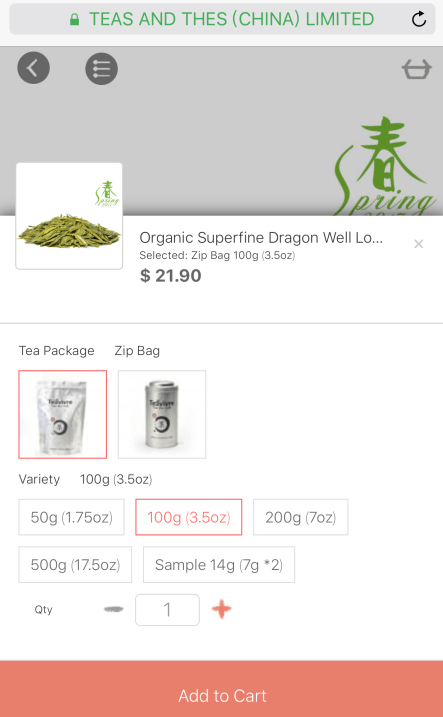 Step 2: Once you have the list of teas in each category, you can click on any of the individual teas to take you to the info page for that particular tea. Step 3: Once you've decided on a tea, the next step is to choose the quantity and package option you want. 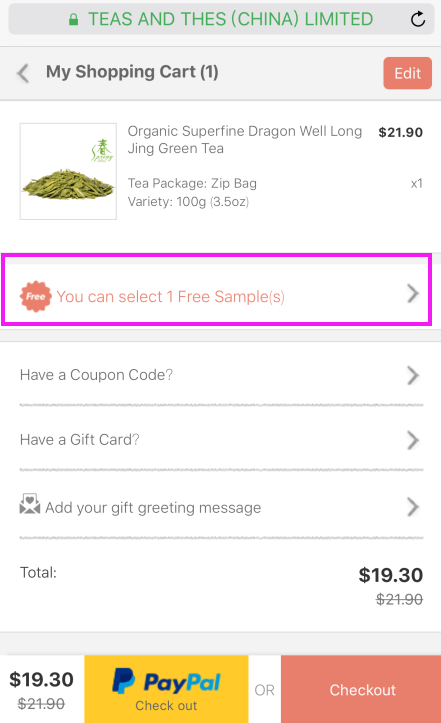 And then click “Add to Cart” button to add the tea to your tea bag. Step 4: Click the shopping bag icon to check all the items you've added. Step 5: Select free sample you are eligible. 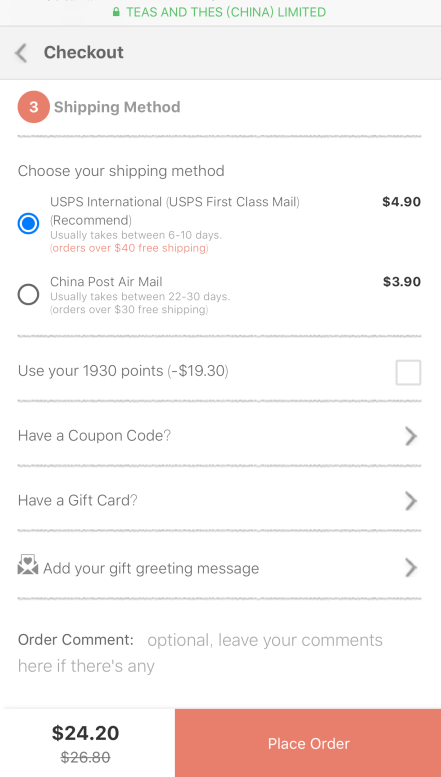 After you have successfully placed an order, the website will take you to our “order confirmation” page as well as sending you a confirmation email. (Note if you can't find this email, please check to see if it has went to spam folder). 1. 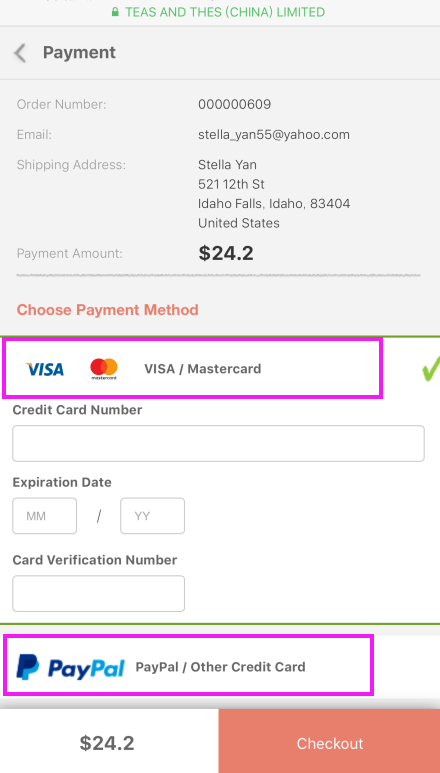 There was a problem with the payment website you used, and the payment confirmation did not get sent from that website to TeaVivre. 2. You closed your browser or the payment window too quickly before your payment website had time to complete the transaction. Either of these two situations should be very rare, however if it does happen, please don't worry. Our staff process new orders within a few minutes of us receiving them, and if we detect a problem we'll manually create the order for you and also get in touch with you via email ourselves. Of course, you can also contact us. 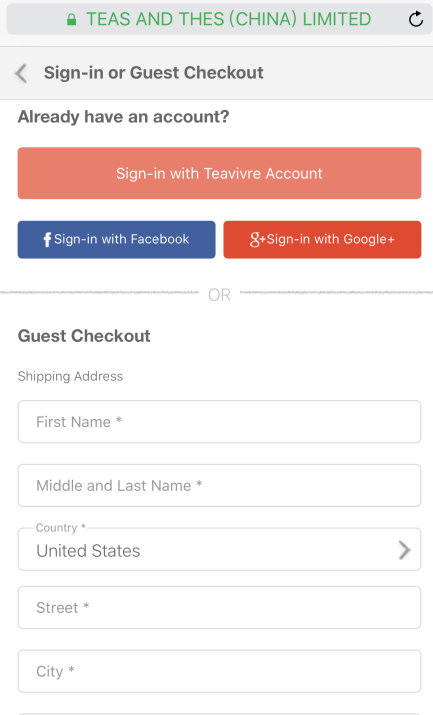 Just sign in to TeaVivre account and look for the order – and its status – on the “My Orders” page. We keep the status automatically updated as soon as we know when it changes, so it will always have our most up to date information. 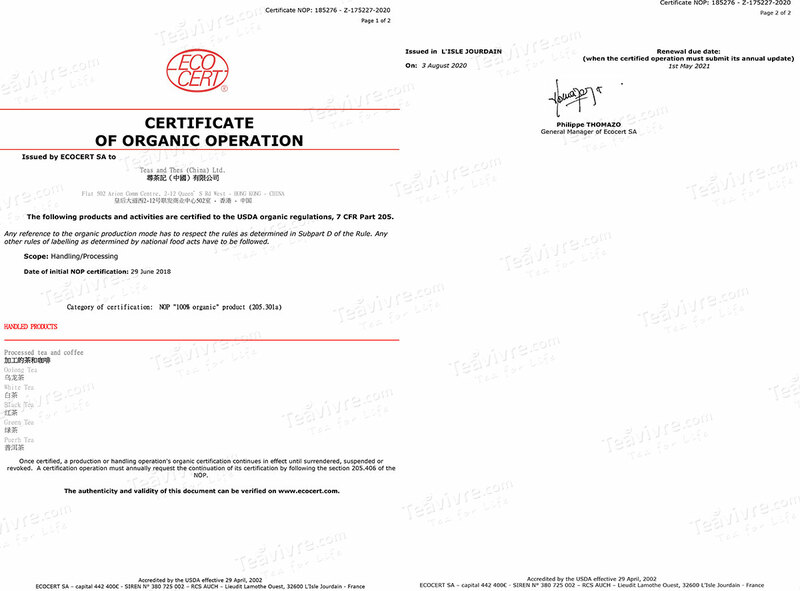 We also will send you an email letting you know when the status changes.